Brewer’s yeast, a key ingredient in the production of beer and ale, is known for its high nutritional value. The ingredient is derived from a fungus called Saccharomyces cerevisiae, and is touted for its many health benefits. Brewer’s yeast boasts with important minerals that bolsters the body’s overall health. Below is a list of nutrients found in the ingredient. 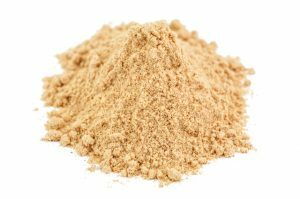 Brewer’s yeast is an excellent source of protein, amino acids, and fiber, as well as B-complex vitamins and trace minerals that help promote the body’s overall health. Brewer’s yeast is known to fortify the digestive system and promotes the proper breakdown of food. The ingredient is also found to contain beneficial probiotics that aid in digestion. In addition, the ingredient is touted to stimulate an enzyme that treats digestive conditions such as diarrhea. The ingredient is known to promote metabolic health. The high chromium content in brewer’s yeast is essential in maintaining healthy blood glucose levels. The chromium-rich brewer’s yeast promotes glucose tolerance and reduces insulin requirement in patients with diabetes. Brewer’s yeast is also found to prevent dangerous upsurges and dips in blood sugar levels. Additionally, brewer’s yeast is packed with protein and fiber that keeps the body satiated, which makes the ingredient an ideal staple in weight management. Brewer’s yeast is also touted for its cardiovascular and respiratory benefits. The ingredient is an excellent source of fibers — called beta glucan — which inhibit cholesterol absorption and lower bad cholesterol levels. These effectively keep heart attack, stroke, and heart disease at bay. Brewer’s yeast is also found to contain high levels of selenium, a powerful antioxidant that ramps up the immune system’s defenses. A stronger, selenium-fortified immune system will, in turn, protect the body against certain respiratory conditions including commons colds and flu. This also promotes healthy respiration during cold and allergy season. The nutrient-dense yeast is also found to reduce the severity or occurrence of premenstrual syndrome (PMS) symptoms such as bloating, cramping, and increased appetite. The abundant B vitamins and trace minerals in brewer’s yeast are also noted to address nutritional imbalances that result in acne breakouts. These nutrients are also found to curb inflammation and improve skin conditions. Brewer’s yeast is beneficial to the digestive system as it promotes healthy digestion, healthy blood glucose levels, and prolonged satiety. The fiber-rich ingredient is also beneficial to heart health as it is known to curb cholesterol rates and prevent the onset of various cardiovascular conditions. The healthy yeast variety is also known to boost both the immune system and the respiratory system. In addition, brewer’s yeast may prove beneficial for the female reproductive system as it addresses symptoms of PMS. The ingredient is also beneficial to the skin as it alleviates acne and inflammation. Brewer’s yeast, while being the primary ingredient in beer making, is also used in a variety if baked goods that range from basic bread to crumb-perfect baguettes. Where do we get all our essential nutrients? Brewer’s yeast benefit various systems and organs in the body including digestive, immune, reproductive, and respiratory systems, as well as the heart and the skin.